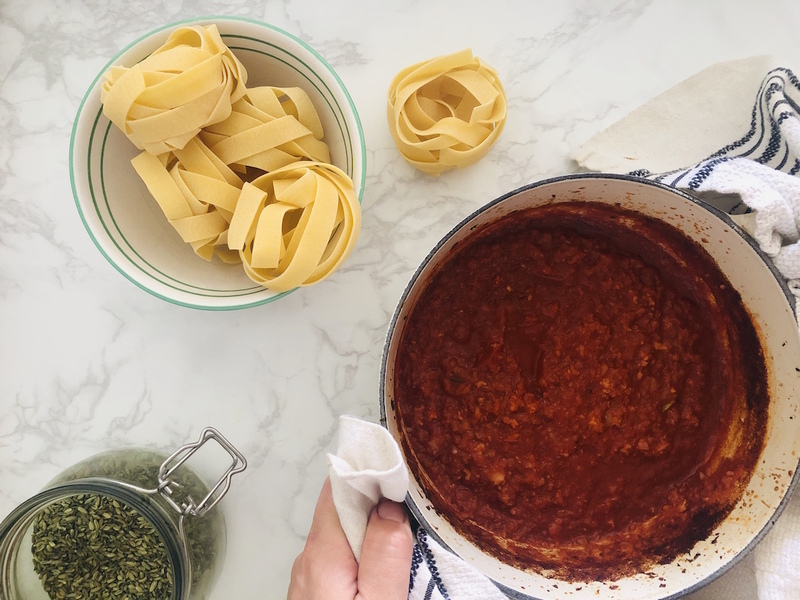 Fennel + Bacon Ragu — delicious and only 30 minutes to make! A lot of parents shy away from strongly flavoured vegetables like fennel and aren’t too sure what to do with them but there is nearly always a way to cook your vegetables so that kids will love them. 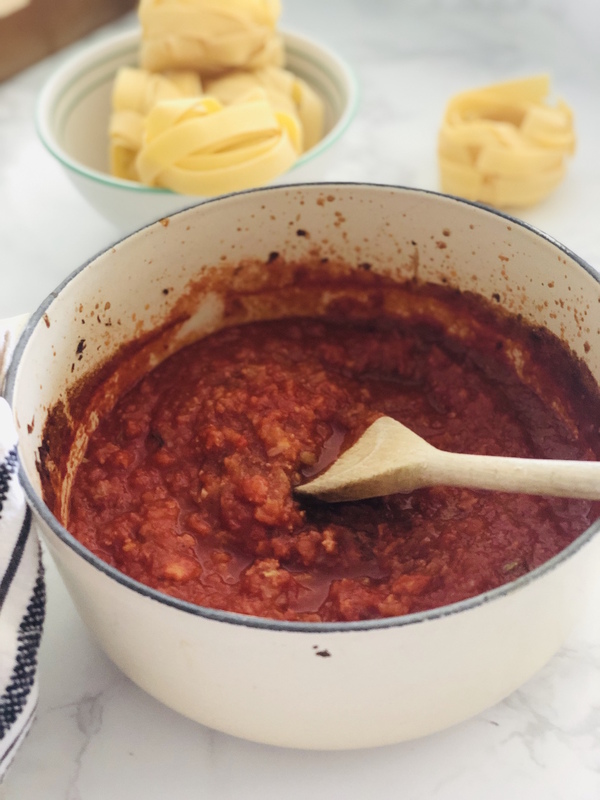 For fennel — I find it’s cutting it down and slow roasting it with its best pal, bacon, to make this hearty fennel + bacon ragu that takes around 30 minutes to make and fills your house with the most glorious smell. We love it tossed through pasta or combined with beans to make a wintery stew (with plenty of bread to mop up the sauce). Preheat the oven to 200ºC. Add 2 tbsp olive oil to an ovenproof dish and place over medium heat. Place the fennel, bacon, garlic, herbs + spices in a food processor and blitz down until finely chopped. Add the fennel mix to the hot saucepan and cook for 8-10 minutes until starting to soften. Add the tomato passata. Bring to the boil and then cover with a tight fitting lid. Place in the oven for 30-35 minutes. Remove and serve immediately tossed through pasta. Enjoy your Fennel + Bacon Ragu! PS A simple tomato pasta!